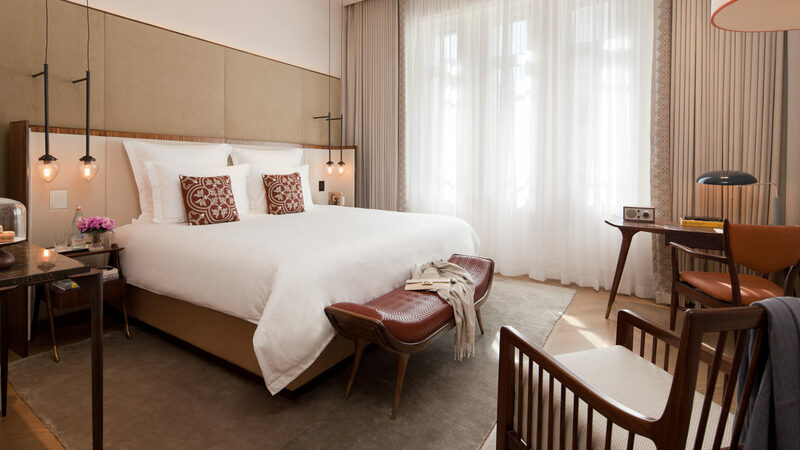 The Norman, the only luxury boutique hotel in Tel Aviv, lies in a picturesque city square in the heart of the White City; Israel’s world-famous UNESCO heritage site of historic Bauhaus architecture buildings. 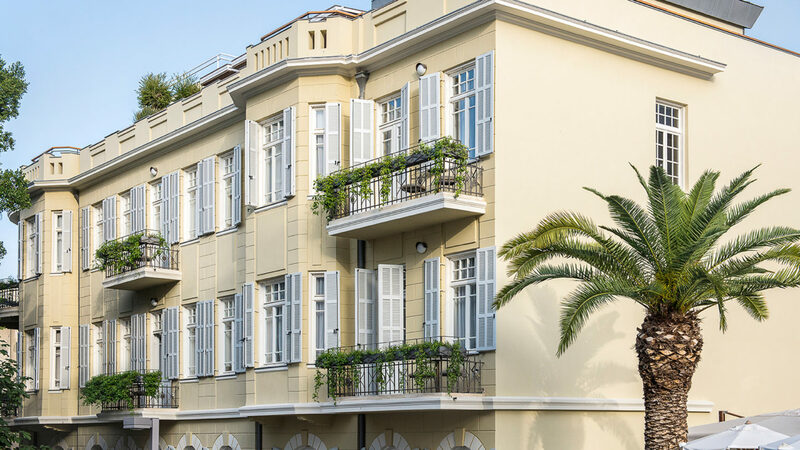 Accommodations, housed in two magnificently restored buildings are a harmonious blend of old and new, with antique-inspired charm mixed with contemporary art & technologies. Situated between the two buildings is a fragrant citrus garden, a sanctuary of calm in the heart of the beating metropolis. 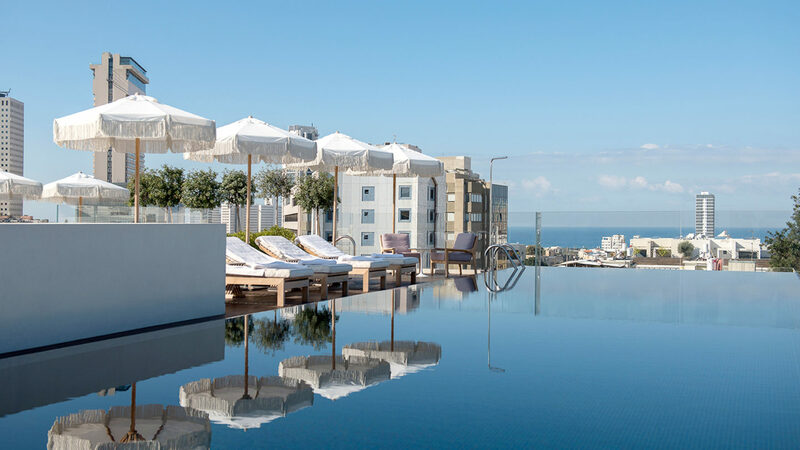 Days enjoying are spent exploring the vibrant city, or perhaps, a languid late afternoon at the wellness center or rooftop infinity swimming pool and sundeck. Later, traditional Izakaya-style Japanese tapas await at the world-renowned Dinings, where one can sit on the stunning open terrace for a panoramic Tel Aviv view. 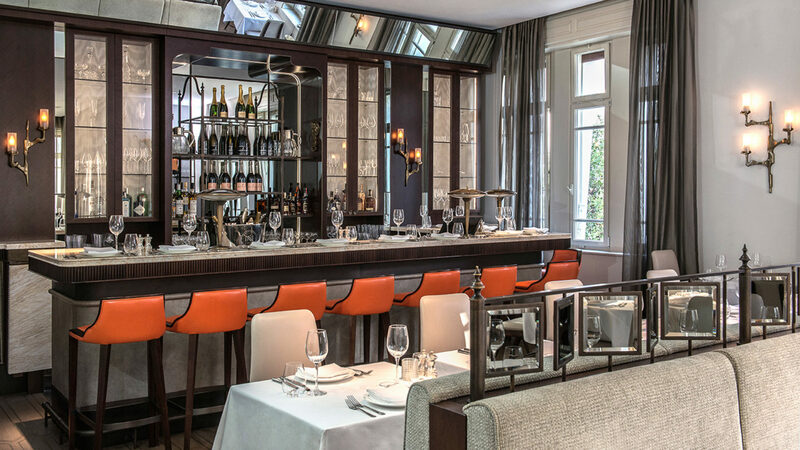 Guests can also indulge in creative dining at the ALENA restaurant recognized for winning the 2018 Award of Excellence by Wine Spectator. Shira Tsiddon, its resident wine and sake sommelier, has cultivated a dynamic wine cellar featuring 350 and 450 wines from Europe’s most highly regarded vineyards to an Israeli selection from the Golan Heights and Judean Hills to the Negev desert. From here, Israel’s treasures are easily attainable, from the healing waters of the Dead Sea to the celebrated street art of Tel Aviv, from wondrous Petra to the “City of Gold,” Jerusalem. Within two buildings, there are 50 individually designed rooms and suites, each with a unique layout and character, including high ceilings, original antique architectural elements, plush hand-picked linens, spacious bathrooms with hand decorated tiling, oversized terry towels, and a range of superb amenities. Many of the suites can be connecting. The Residential Suites building located at 25 Nachimani Street is home to 16 suites and 2-penthouse residences. Despite the passage of time. 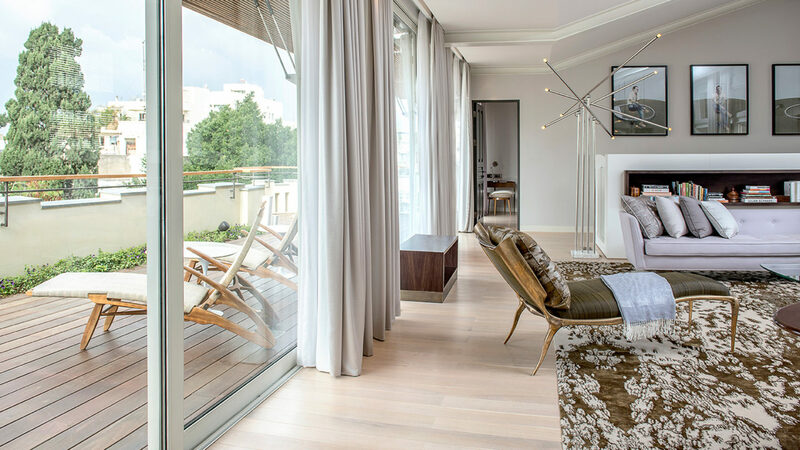 The mid-century modern interiors infuses each suite with an understated elegance to fall in love with high ceilings and large windows streaming in brilliant sunlight. •	Smart control system for air conditioning, door lock, lights, curtains, etc. 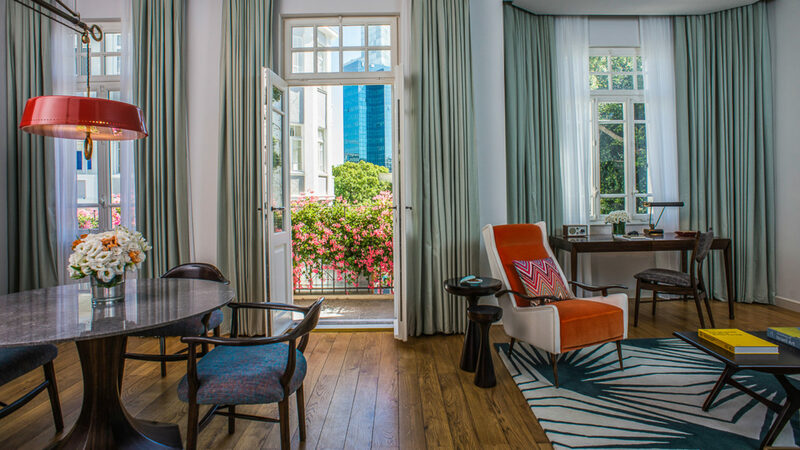 The Norman is located in one of Tel Aviv’s most beautiful squares, in the heart of the famous “White City,” a UNESCO World Heritage Site.